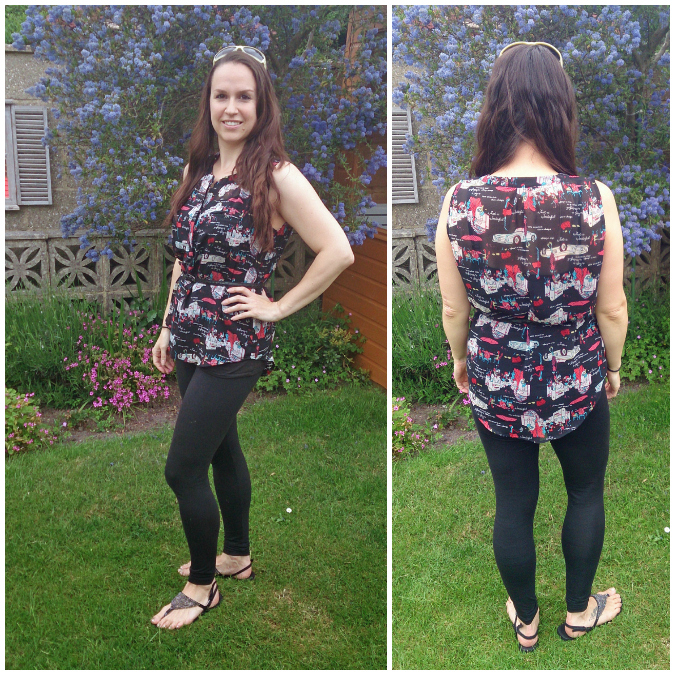 Andreia from In a Manner of Sewing is rocking the soft prints. That floral absolutely kills me I love it so much. And how adorable is her little photobomber?! 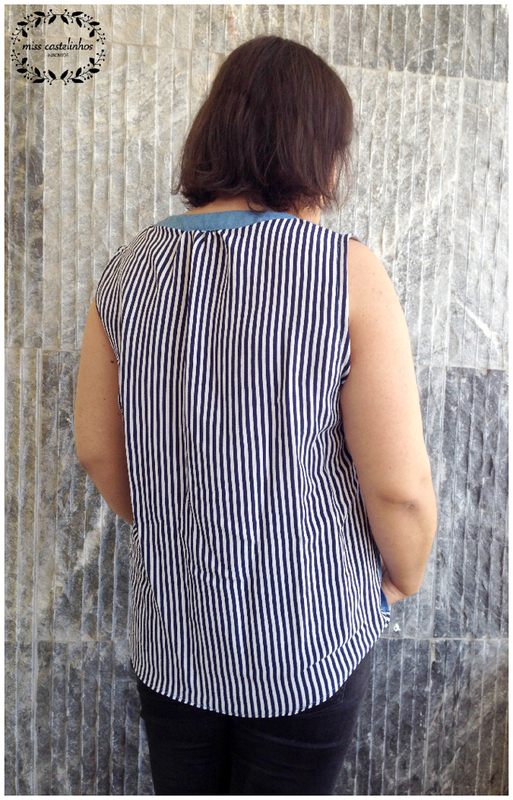 Dana from WaterPenny made this beautiful soft navy top. 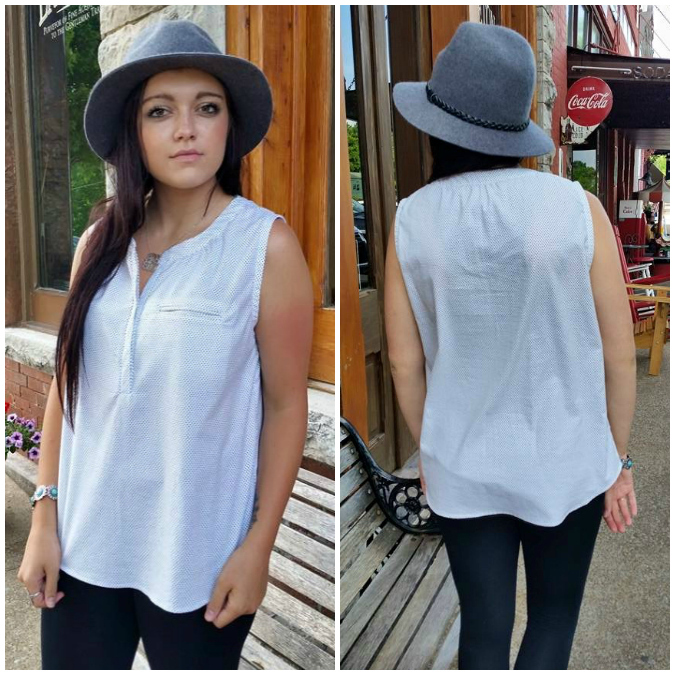 She also reports that the shirt works great for nursing! 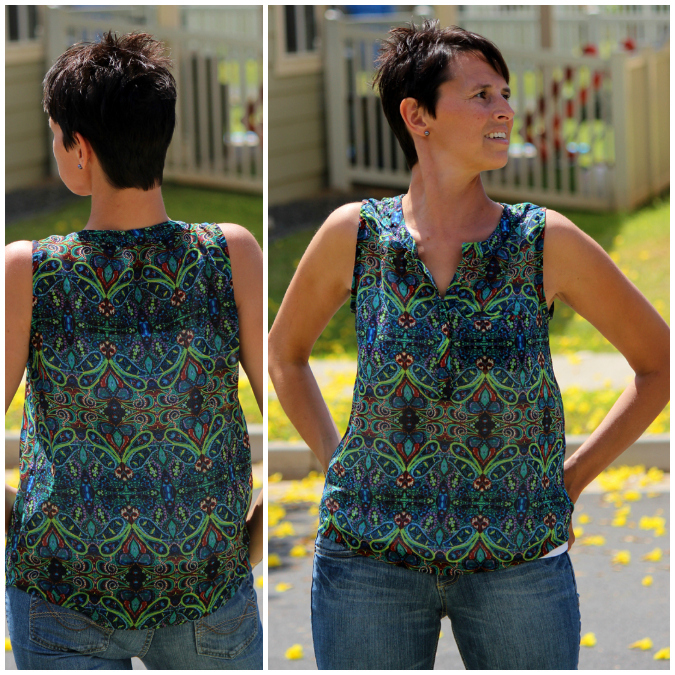 This gorgeous vibrant blouse is from Vanessa of East and Eden! How pretty are those metallic accents? And just when you thought this fabric was totally unaccessible, she says she got it from Hobby Lobby!! Suzanne from Heartmade by Suzy made this super cute polka dot version. I love how her model here styled it with that hat!! 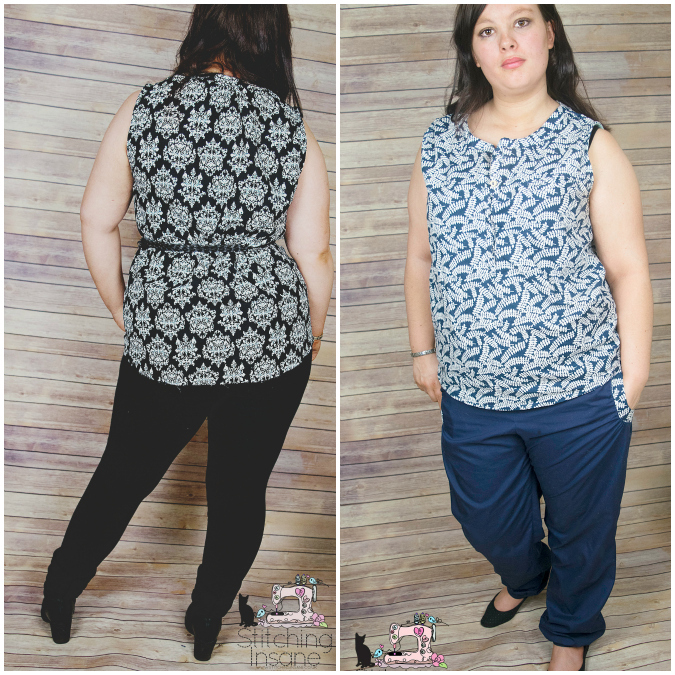 Stacey from All Sewn up by Stacey is a return tester for Hey June and she hit it out of the park once again! 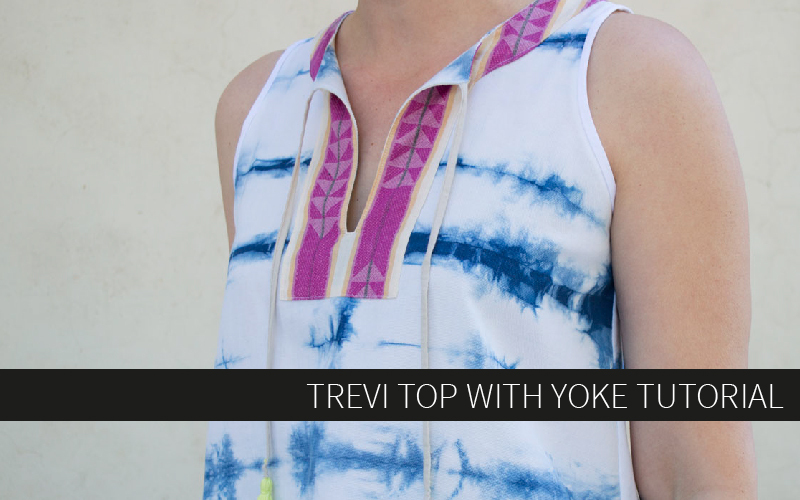 Great shirt, great fabric, great pictures! (seriously, her garden!) She also wore it with a belt cinched at the waist, which is really cute styling option. 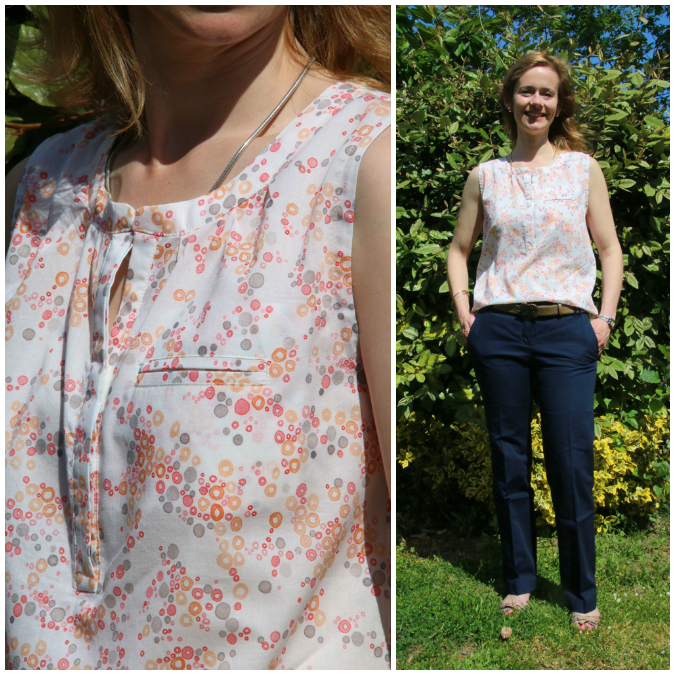 Maria from Fairies, Bubbles, & Co made this light summery blouse with a cute print and some really precise sewing. 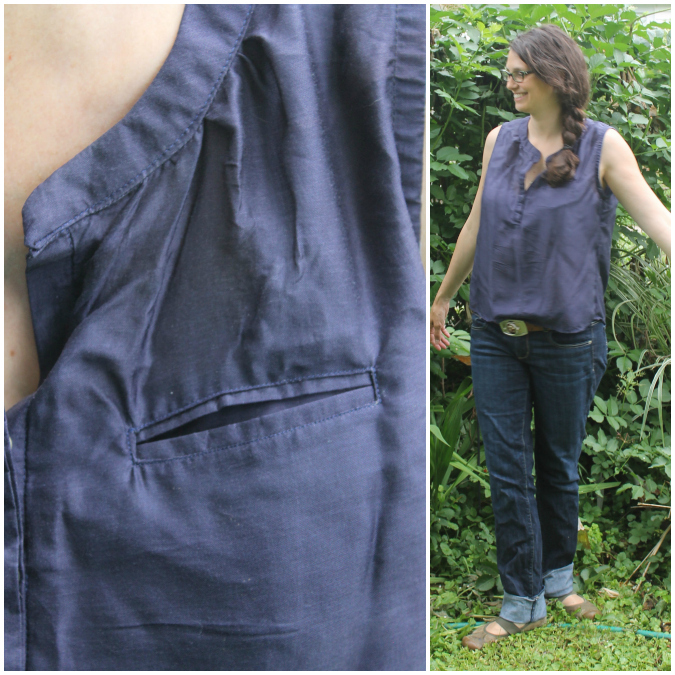 Check out that welt pocket perfection! 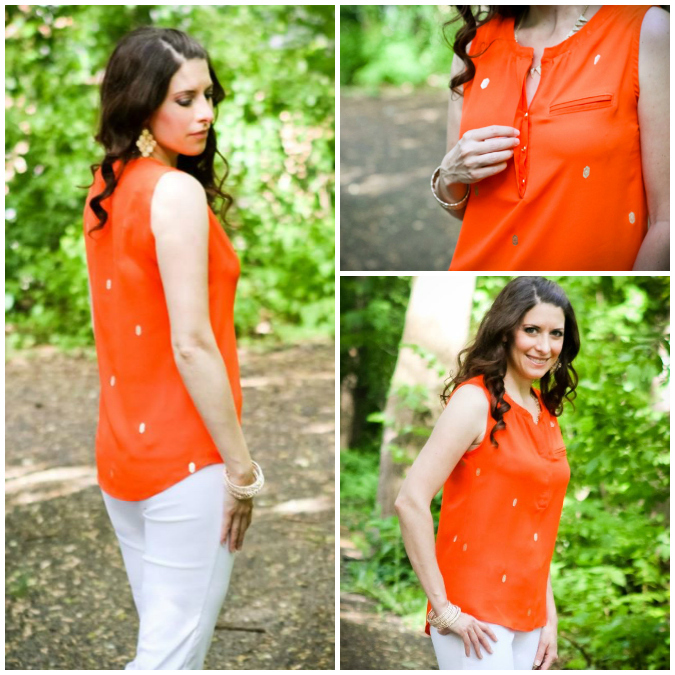 This beautiful, bold, colorful blouse is from Jackie. She looks like a straight-up model, right? These sunny pictures make me so excited for summer! 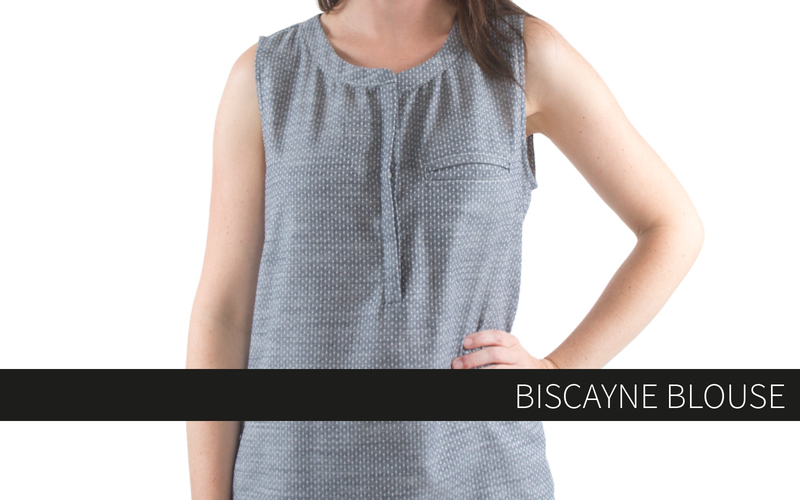 Diana from Miss Castelinhos made her Biscayne with soft drapey rayon for the back and chambray for the front! 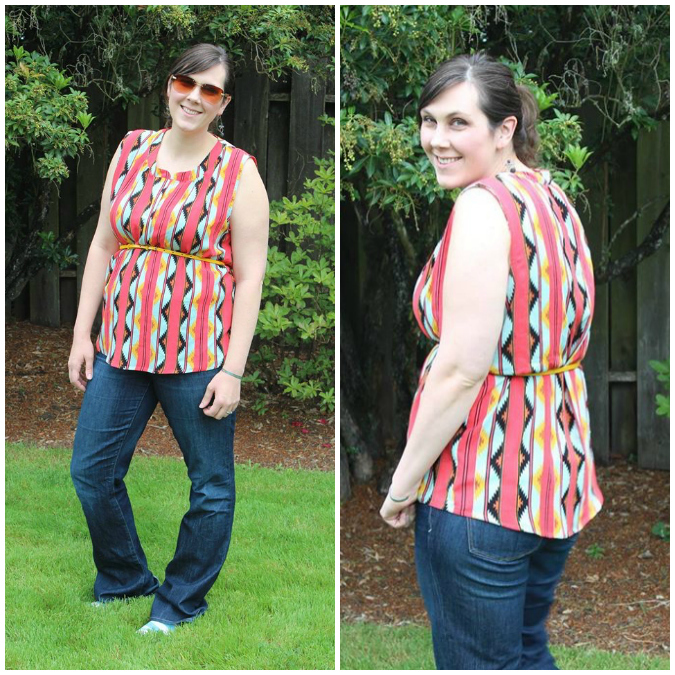 I love the idea of color and/or fabric blocking! 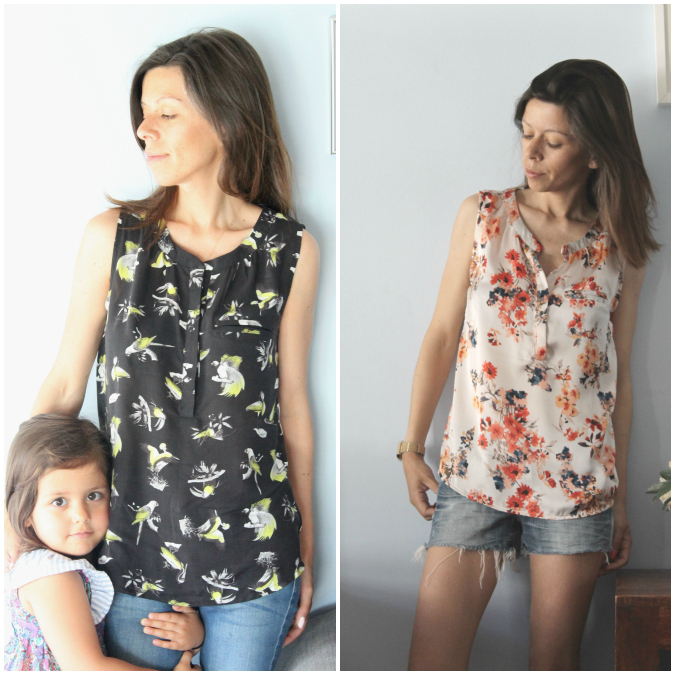 Believe it or not, Cat classified herself as a beginner garment sewist. 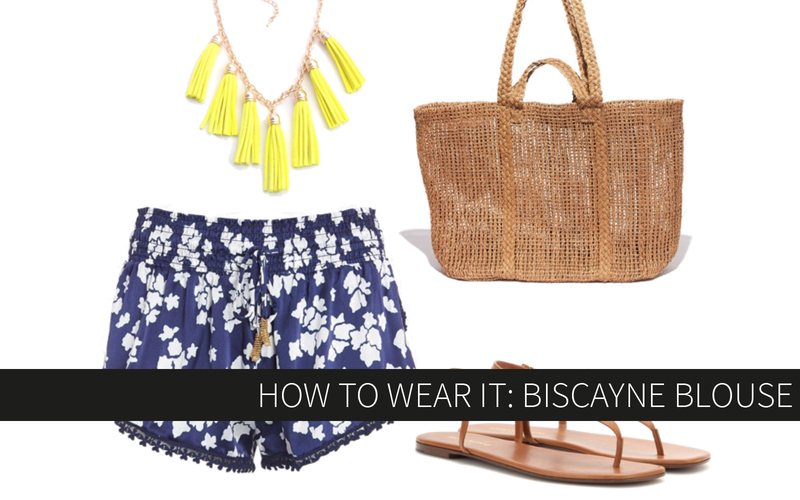 But her Biscayne turned out beautifully! 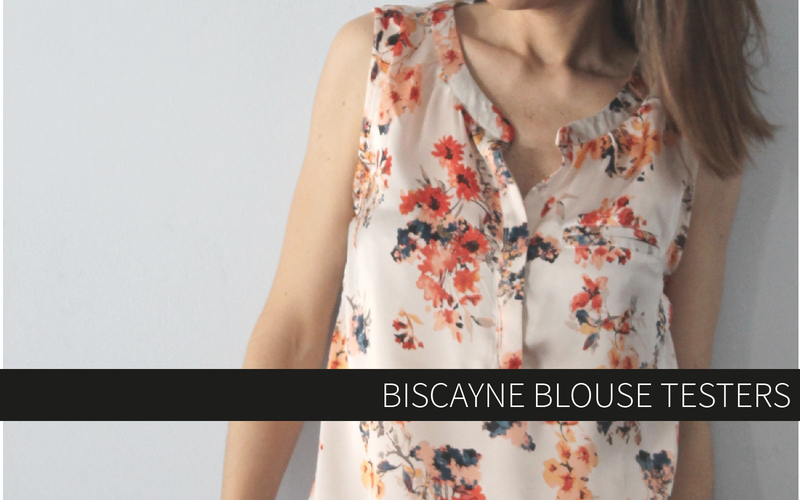 She was so awesome to take on testing this blouse and she nailed it! 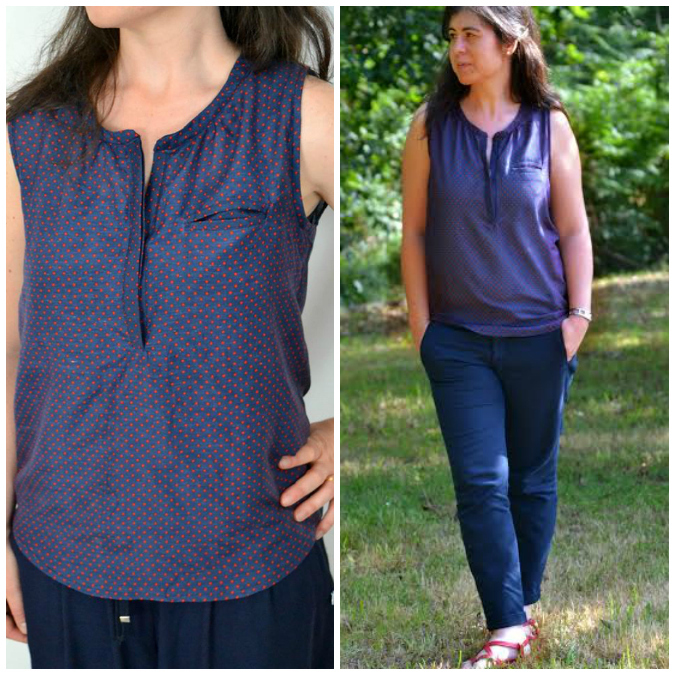 This beautiful drapey blouse is made by Sara from Made by Sara. 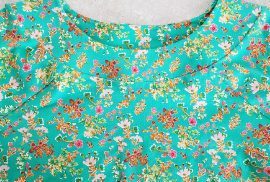 I love this fabric for this pattern! You ladies rock, thank you so much to all my testers! You made such an awesome pattern!! Thank you for letting me be part of team, it was a pleasure for me. I learned so much with this pattern! seriously LOVE. Awesome pattern!!! Can’t wait to give it a try. So I only just discovered this beautiful pattern today from Itch to Stitch link up. This is lovely. Must add this one to my stash next pay day! Can Jackie share where she got her fabric if she remembers? Its GORGEOUS!